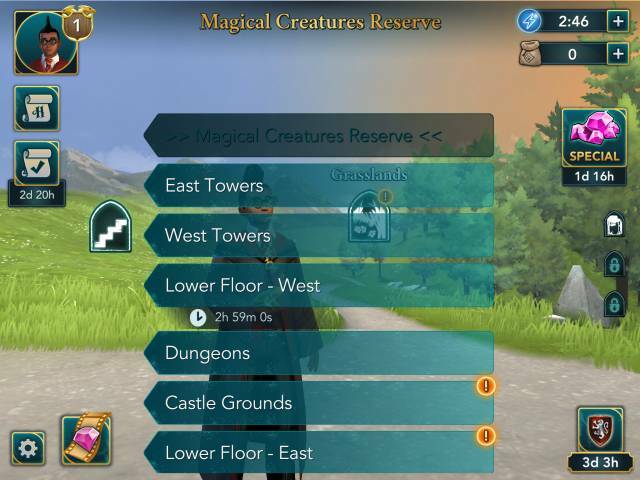 The Magical Creatures Reserve is a new update to the game which has opened for some players in November 2018. 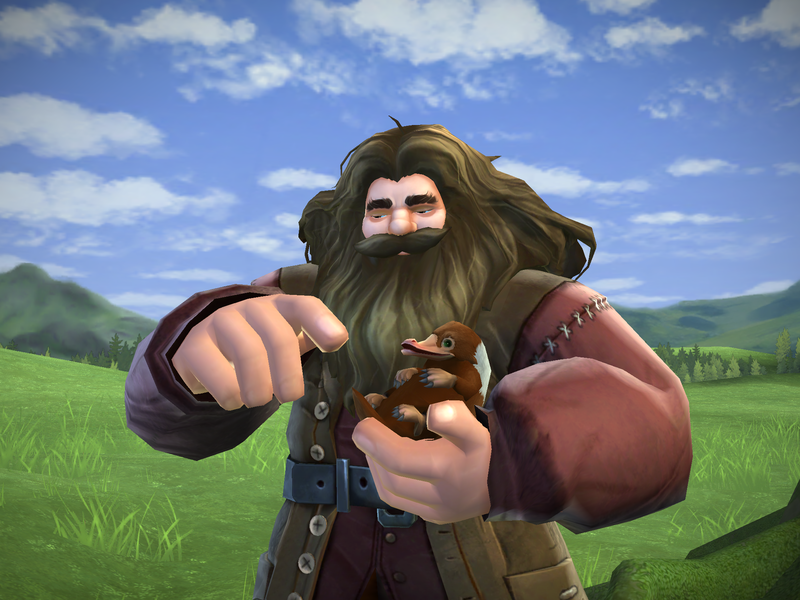 In it you meet up with Hagrid and can explore various areas and adopt magical creatures via exchanging Notebooks. 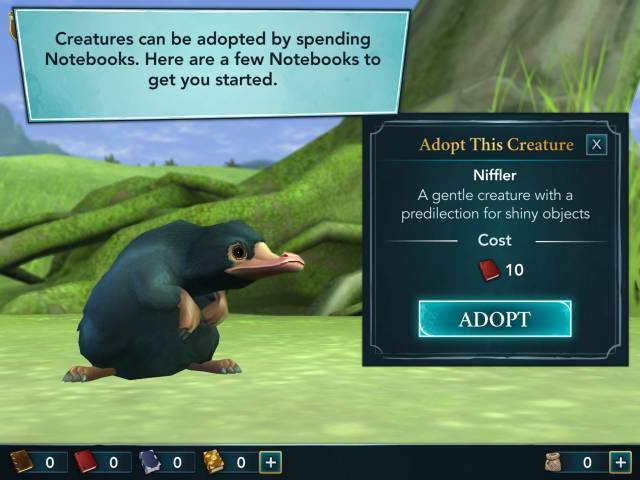 Remember Notebooks are gained by noth caring for creatures and by participating in events. The new update does award you with 10 Notebooks to allow you to adopt your first creature - Niffler. 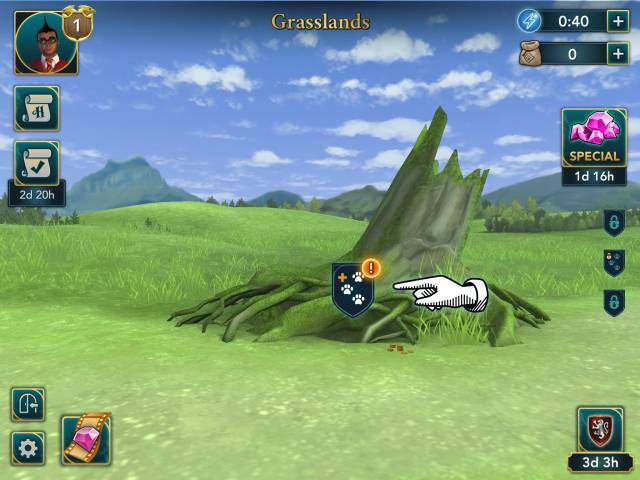 You can the try to unlock special rewards by increasing the creature's Trust Level. You can feed your creature to increase their trust in you. You can use the feed and bons buttons after you have adopted a creature to increase their trust in you. In the game this is referred to as your Magizoologist Level. If you increase your Magizoologist level you can then unlock other new creatures. You'll to come back regularly to feed and bond with your creatures as the action is on a timer before you can repeat it. If you run out of food, then you can either purchase more with gems, or find it, which is an energy using task, but free! You get to the Magical Creatures Reserve via the staircase icon, it should now appear as an option to visit at the top of the list.